Holland is one of the most cycling-friendly countries on earth. 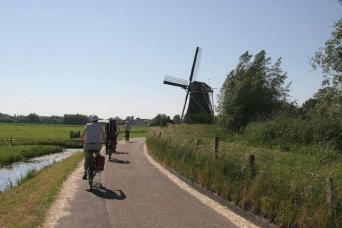 With a huge network of dedicated cycle lanes and very few hills, a cycling holiday in Holland is a great experience. The Dutch people cycle everywhere, and bikes have a much bigger presence than in many other countries, so you will feel safe, confident and enjoy every second of your cycling trip in Holland. 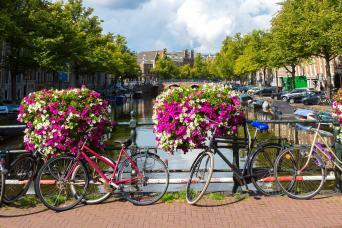 Along with a love for bikes, the Dutch have a predilection for canals, which is why we offer some outstanding Bike and Boat tours in Holland. 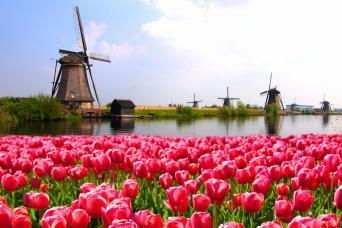 You can explore the same paths, but stay in hotels if you prefer or you can get a real flavour of the country on the Highlights of Holland Tour. For more information on taking a cycling holiday, you can download our Free Guide to Cycling Holidays or check our Online Cycling Holiday Guide. Holland loves bikes and taking a Macs Adventure cycling holiday in Holland will showcase the very best of the country on two wheels. Cycle and sail through Holland and Belgium and the historical cities of Amsterdam, Antwerp, Ghent and Bruges on your stylish barge, the MS Magnifique I or Magnifique II. 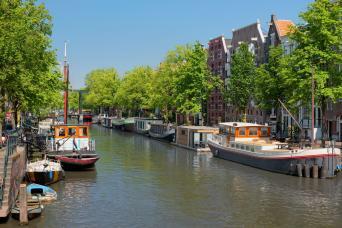 Amsterdam, Haarlem, Leiden, Delft and Gouda, cities built for cycling, are home to the cultural gems of Holland and brimming with typical Olde Holland character. 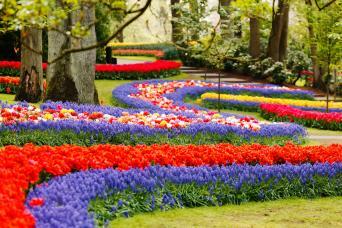 Cycle through flower filled fields, visit the World famous Keukenhof flower exhibition, explore charming towns and discover the cultural heart of Holland. 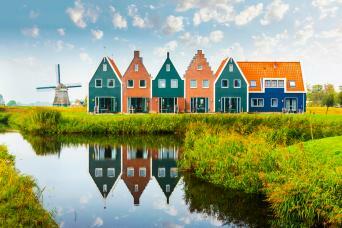 Cycle and sail from the cultural hub of Amsterdam to the Frisian Island of Texel. Return each evening to the comfort of your boat to relax and recharge for the next day of Dutch exploration. Follow dedicated cycle paths from the iconic canals of Amsterdam and through the peaceful countryside of the “Groene Hart”, the green heart of Holland and into Belgium. 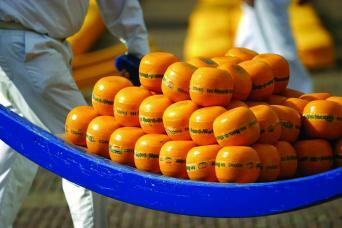 Conclude your tour in the medieval fairy-tale city of Bruges. Cycle and sail through Holland and Belgium and the historical cities of Amsterdam, Antwerp, Ghent and Bruges on your stylish barge, the MS Magnifique I, Magnifique II or the Magnifique III. 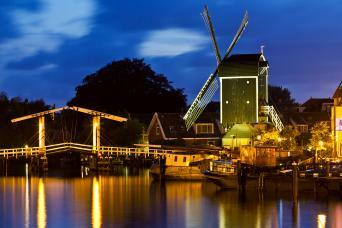 Amsterdam, cheese, pancakes, North Sea Dunes, windmills, tulips and dikes - experience the highlights of Holland on this five day cycling break. 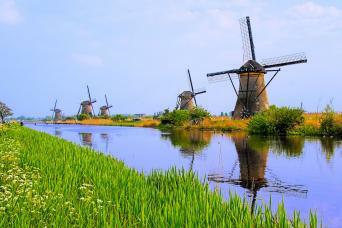 Cycle and sail through Holland and Belgium to the historical cities of Amsterdam, Antwerp, Ghent and Bruges. Follow flat paths in traditional landscapes of small winding rivers and canals, polders, dykes and windmills, including the UNESCO World Heritage Site of Kinderdijk. Spend an unforgettable short break in Holland on a premium boat, the MS Magnifique, taking in the strikingly beautiful and vibrant colours of the world famous flower fields. 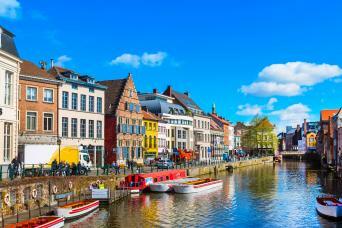 Cycle and sail through Belgium and Holland to the historical cities of Bruges, Ghent, Antwerp, and Amsterdam. Follow flat paths in traditional landscapes of small winding rivers and canals, polders, dykes and windmills, including the UNESCO World Heritage Site of Kinderdijk.